This course also introduces the student to industry standards governing FTTD (Fiber ToThe Desk), FTTH (Fiber to the Home), and explains Zone Vs. Distribution Cabling. Students will learn how to identify fiber types, recognize various connectors used in fiber installation; and install, terminate, splice, and properly test installed fiber cable to existing standards. 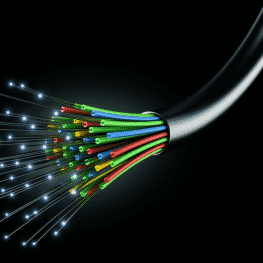 This program explores the history and future of fiber optics and fiber optics capabilities, and cost of installation.